KUALA LUMPUR, Malaysia, September 5, 2018 (Newswire) - Malaysian blockchain company Everus has launched their new and improved Everus Multi-Crypto Wallet app. Along with the Android version of the app, an iOS version is also available for the first time, making the wallet more accessible than ever before. The new apps come with a much-improved user interface and experience, making it more user- friendly and intuitive for newcomers. 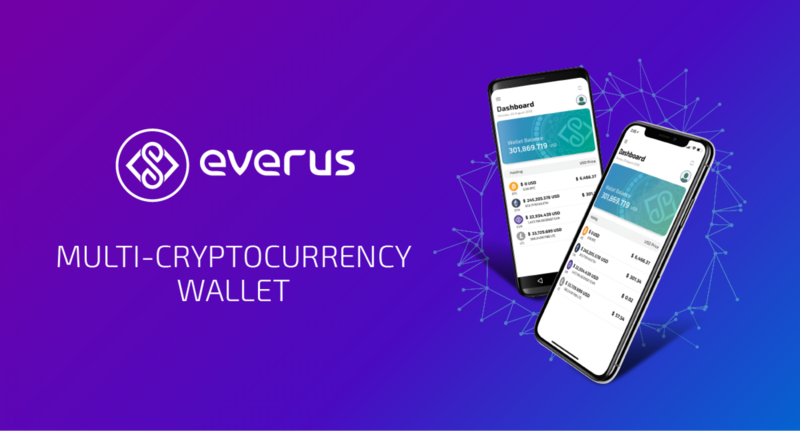 For iOS users, the Everus Multi-Crypto Wallet will be accessible via password or facial recognition, while the Android version will employ fingerprint scanning as a safety measure to prevent unauthorized access to wallets. These features ensure that only the rightful owners of each wallet will be able to gain access to their accounts. In addition, the biometric security features give the wallet a convenience factor since there is no longer a need to remember complex passwords. One of the key features of the improved Everus Wallet is the ability to store multiple cryptocurrencies apart from EVR, including Bitcoin, Ethereum and Litecoin. In the future, Everus plans for the wallet to be able to store around 50 more coins and tokens each month, with the ultimate goal of being able to hold over 500 different cryptocurrencies, which would make it the most versatile wallet on the market. In addition to being able to store multiple assets, the latest updates include an in-built exchange function which allows coins/tokens to be exchanged for EVR directly inside the wallet. The ability to pay for utility bills is another new feature to be introduced to the Everus Wallet app. Linked with various utilities providers around the world, users can now pay for their bills directly from their wallet; for example, wallet holders in Indonesia can pay for utilities such as electricity and television services. Mobile prepaid reloads are available for every country supported by Everus utility payments, and in the coming months, the company plans to add more options for utility bill payments and related services to the platform.